Millions of people around the world wear the small brown cloth around their shoulders known as the Carmelite Brown Scapular. 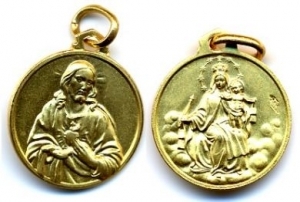 This sacramental - one of the most popular across the Church - is a symbol of belonging to the wider Carmelite Family, and of pledging oneself to the protection of Our Lady and the service of her son Jesus Christ. 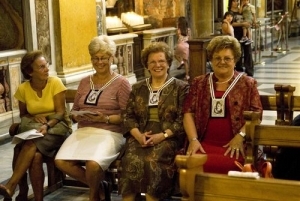 In some countries, such as Spain and Italy, wearers of the Brown Scapular are admitted to spiritual and social organisations known as Scapular Confraternities (brother/sisterhoods). No such formal organisation exists in Britain at the present time. 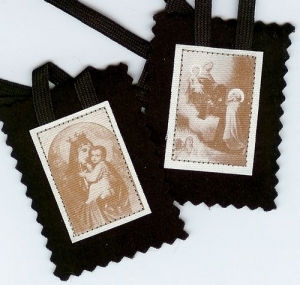 However, all those who are 'enrolled' in the Brown Scapular are considered linked to the Carmelite Family in a spiritual sense and part of the worldwide 'Scapular Confraternity'. 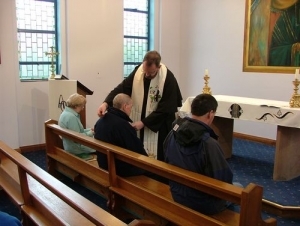 For a copy of the Brown Scapular Blessing and Enrolment Rite in PDF format please click here. To watch video presentations about the Carmelite Brown Scapular, click on the arrow in the YouTube boxes below.